Today is August 1st, which for those of you who didn’t pay attention in European History 101 (did anyone?) is the day Switzerland was created after the three states Uri, Schwyz, and Unterwalden shook off the rule of the evil Austrians and declared themselves independent by swearing an oath on the Ruethli lawn. Legend has it that legendary Swiss hero Wilhelm Tell killed the Austrian bailiff Gessler with his crossbow after being forced to shoot an apple, which was placed on his son’s head. This gives me two great topics for today’s post: Apples and Independence. With all of the hype about magic foods and super foods, it is easy to lose sight of the miracles that are happening right in front of you: Apples (especially local ones!). Apples contain about 1200 (This is amazing!) phytochemicals responsible for multiple processes in the body such as fighting cancer, reducing blood pressure, lowering cholesterol, and preventing heart disease. 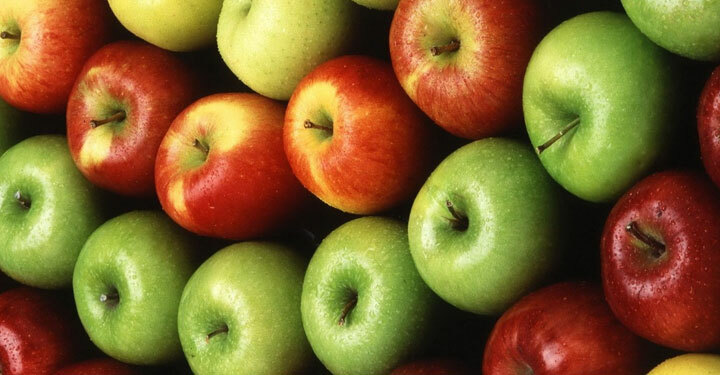 In addition, apples are an appetite suppressant and a good source of fiber! Since 1291, Switzerland has remained more or less neutral (let’s not open a discussion about World War II). As a bodybuilder, your independence is one of your most valuable assets. Your surroundings will always try to influence you one way or the other, sometimes for the better, sometimes not. Stay true to your training and diet and eventually you will outlast the doubters. Previous post: DO WHAT THE BOX SAYS! Next post: QUAEL DICH, DU SAU! OR TALENT ALONE MEANS NOTHING!